Our new Nipper Stands have been designed to mount the GT-NR20 and GT-NR30 Series nippers. Both nipper stands have a total swing of 105 degrees and are designed for fixturing or stand-alone degating applications. 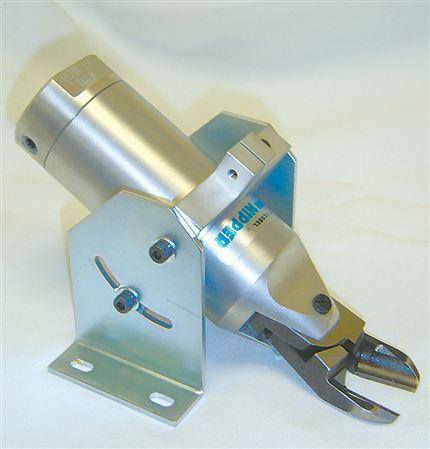 Foot pedal allows for hand-free operation and reduces operator fatigue.